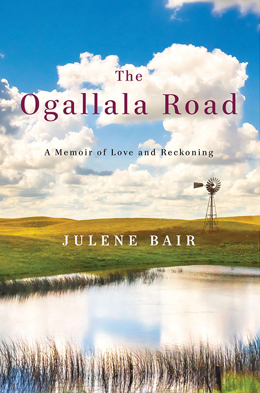 The Ogallala Road: A Memoir of Love and Reckoning, by Julene Bair (Viking, New York, New York, 2014). The Ogallala Road is Julene Bair’s story of her family’s western Kansas farm, the impact of modern farming practices on the health and future of the Ogallala Aquifer and her search to define her connection with the land even as she leaves it behind. The Bair family farm sat on the arid High Plains at 4,000 feet above sea level and used water for irrigation from the Ogallala Aquifer, which stretches across 8 states from South Dakota south to Texas. This shallow water table aquifer, which has been the most plentiful source of groundwater in the country, is the overarching subject of Bair’s book. Farmers have used water from the aquifer for generations, but Bair explains that bigger farms and modern farming practices mean a bigger draw and the arid environment means rain and snowfall isn’t enough to replace what they use. The result is that the aquifer’s shallow water table is gradually being pumped dry. When Bair first begins learning the ropes of farming from her father, she’s shocked to discover the family farm alone used 139 million gallons of water in one year. The Wikipedia article on the Ogallala Aquifer notes that about 27 percent of the irrigated land in the United States overlies the aquifer, which yields about 30 percent of the ground water used for irrigation in the United States. Since 1950, agricultural irrigation has reduced the saturated volume of the aquifer by an estimated 9%, and depletion is accelerating, with 2% lost between 2001 and 2009 alone. Certain aquifer zones that are now empty will take over 6,000 years to replenish naturally through rainfall and snowfall. “Even though we irrigated more than seven hundred acres at the time, half of that amount went onto our eighty-acre cornfield. That was more than four thousand gallons of water for every bushel of corn we’d harvested,” Bair writes. In fact, the family barely breaks even on growing corn – until you factor in the subsidy checks they receive from the government. It’s a baffling equation: there’s a glut of corn on the market, driving the price down, and it takes too much water and a lot of pesticides and fertilizer to grow the crop in the arid High Plains to be profitable, but the subsidy checks keep farmers growing commodity corn anyway. As her research makes her increasingly concerned about the aquifer, Bair makes a few half-hearted attempts to get the local water board to reduce the amount of water farmers are allowed to draw from it. She is hampered not only by a general resistance to change but by her own family’s involvement in the issue: The Bair farm provides income not only for her mother and brother, but also for Bair herself. It’s income that allows her to leave farm work behind after a few years and pursue a life as a writer. So when the time for big decisions comes, no one in the Bair family is willing to commit to continue the hard work of farming, much less to undertake the massive changes and financial sacrifices necessary to pursue the type of sustainable farming that would require less water. Bair rhapsodizes about her connection to the land – first in Kansas, and later living in the Mojave Desert – and dreams of returning to simpler farming practices, but in the end, the pull of civilization and her career is stronger. “The more I considered what would be entailed, the more I understood how major the sacrifice would be,” Bair writes. 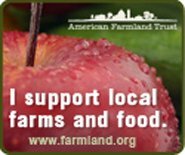 From her perspective, to work the farm organically would require complete dedication. “I was not actually prepared to give up my writing for the endeavor.” Albeit a sad commentary on agriculture in America, her story is compelling and Bair writes lyrically about nature and the environment. Nevertheless, the fizzling commitment to the land – as well as Bair’s baffling romantic entanglement with an environmentally tone-deaf rancher – lend an overall atmosphere of disappointment. There is no happy ending here: the farm is not saved, the romance falls apart, and nothing is done to preserve the reservoir.